When it comes to representation, Netflix is the industry leader and the streaming service shows no signs of slowing down their commitment to diversity and inclusion. 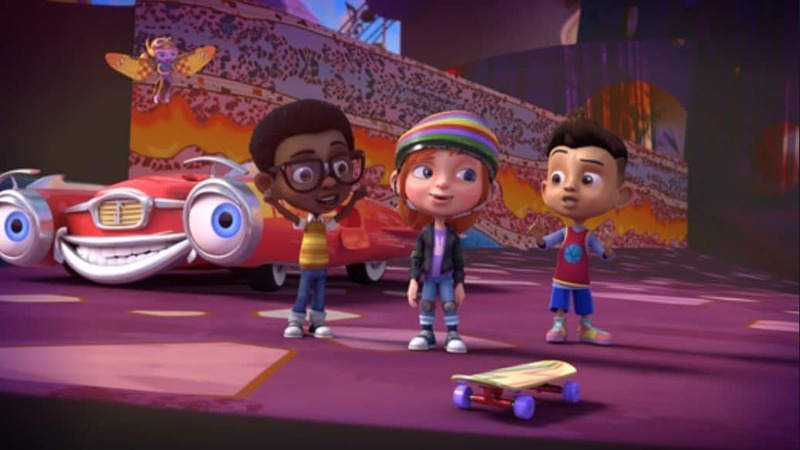 Aside from the endless amount of films, documentaries, and series that are led by Black actors, Black content creators, Netflix has a stable of new content that forges a new path for representation in animation. In celebration of the incredible new animated features, Netflix created a new episode of their Facebook Watch series, Taking Up Space that highlights the strides they’re making. Taking Up Space comes from the streaming service’s Strong Black Lead channel that shines a light on black people thriving and building community in industries and places that weren’t designed for them to do so. The latest episode features insight about the importance of having Black people creating content for the younger generation from Wyclef Jean among others. Motown Magic (Executive Produced by Smokey Robinson) just launched on November 20, and has taken off like a rocket. Parents everywhere are rejoicing that their little kids are finally seeing themselves on screen in an animated series that stokes their imaginations. Each of Motown’s episodes is inspired by and built around a classic Motown song, sung by our characters as an intrinsic part of the narrative, which means parents (and even grandparents) will love this show too because of all the Motown hits they know and love are there! Family Reunion is a multi-generation sitcom about a busy big city family, who travels to small-town Georgia to reconnect with their extended family. Due out next year, this show is led by Meg DeLoatch and features an all-black writer’s room. The all-star cast includes Tia Mowry, Loretta Devine, Anthony Alabi, Talia Jackson, Isaiah Russell-Bailey, Cameron J. “CJ” Wright, and Jordyn James. Untitled Wyclef Jean is currently in development and will be a CG-animated feature film inspired by the childhood of Haitian singer and The Fugees co-founder Wyclef Jean, The script will be written by Justin Marks, whose credits include The Jungle Book, its sequel, and Top Gun: Maverick. Prince of Peoria launched on November 16, starring Theodore Barnes (Teddy) and Cynthia Kaye McWilliams (Regina, Teddy’s mom). This heartwarming live action family sitcom is geared at the tween audience, and makes diverse families in middle america feel normal. Even Teddy’s crush (played by Shelby Simmons) has two moms and it’s never made into a major plot point, it’s just part of the story.